London’s iconic new stadium completed the transformation from Olympic stadium into a multi-use sport stadium with the installation of an Iconic new giant LED screen on the outside facing up to Westfield shopping centre. E20 and LLDC (the joint owners of the stadium) asked us to run the process of choosing the most suitable candidate to provide this unique screen. 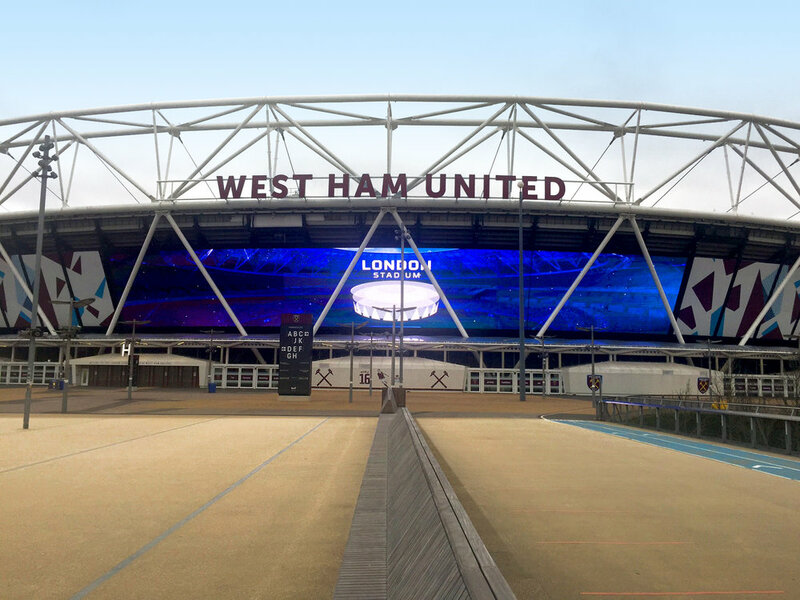 “Whilst we had decided on the general size that the screen needed to be, we needed to get into the screen’s specifics and ensure we were selecting the best Supplier for the project” commented Graham Gilmore, Chief Operating Officer of London Stadium 185. Graham Gilmore, Chief Operating Officer of London Stadium 185.